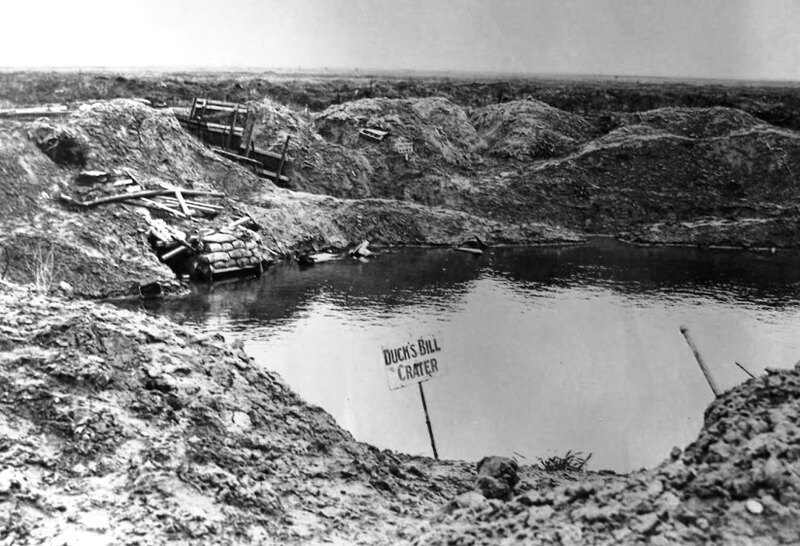 At daybreak, the thunder of the final, intense artillery barrage finally slackens, and at precisely 6 AM, two mines detonate under the German front lines on the south side of the La Bassee canal. Meanwhile, hundreds of chemical warfare troops open the release valves on some 150 tons of chlorine gas. But the low, greenish cloud creeping across no man’s land to strip the earth of all life becomes the day’s first miscue, for the winds over the 6th Brigade are weak, and the blight hovers over their own lines instead of reaching the enemy at all. 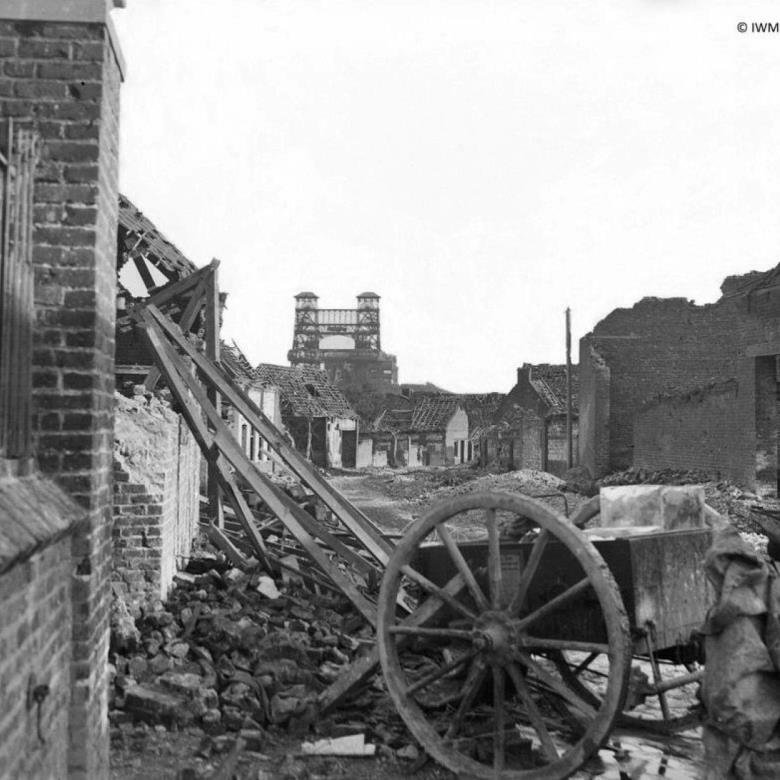 British units record some 1,600 gas casualties on the first day of operations in the Battle for Loos (pronounced loss), whereas the Germans suffer only 600 dead from gas. 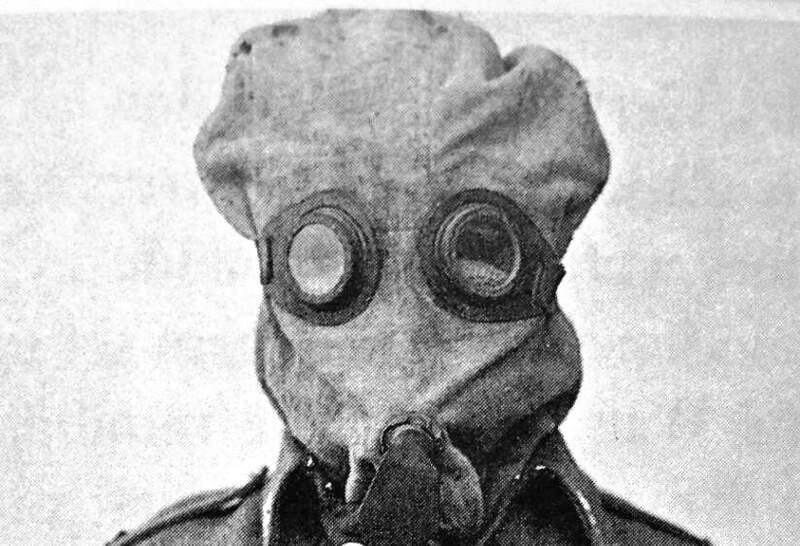 Having been first to use chlorine on the battlefield in April, the Imperial German Army has anticipated the attack, distributing rudimentary masking equipment and response teams. 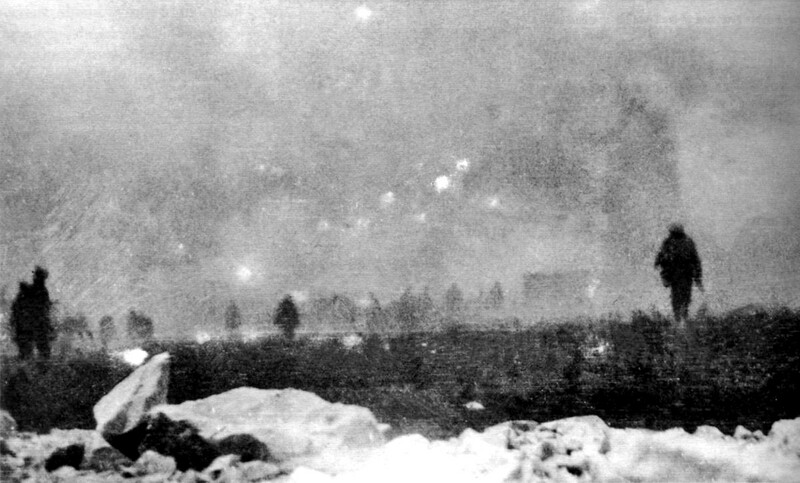 The gas has been supplied to improve on the continuing British shortage of heavy artillery, and as the first British troops go over the top in their smoke hoods, the ineffective use of shrapnel shells against the ubiquitous barbed wire defenses reveals the additional shortage of high explosive shells. 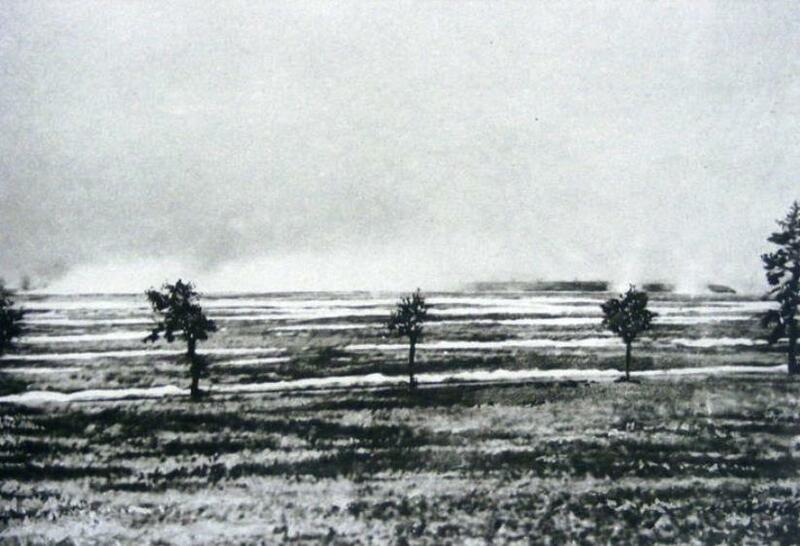 German artillery opens up a hellish barrage on British lines, detonating some of the chlorine munitions. The ‘Big Push’ now begins in earnest, and waves of men advance into the teeth of a German defense-in-depth that is still largely intact. The murderous machine gun fire erases whole cohorts of British manhood. 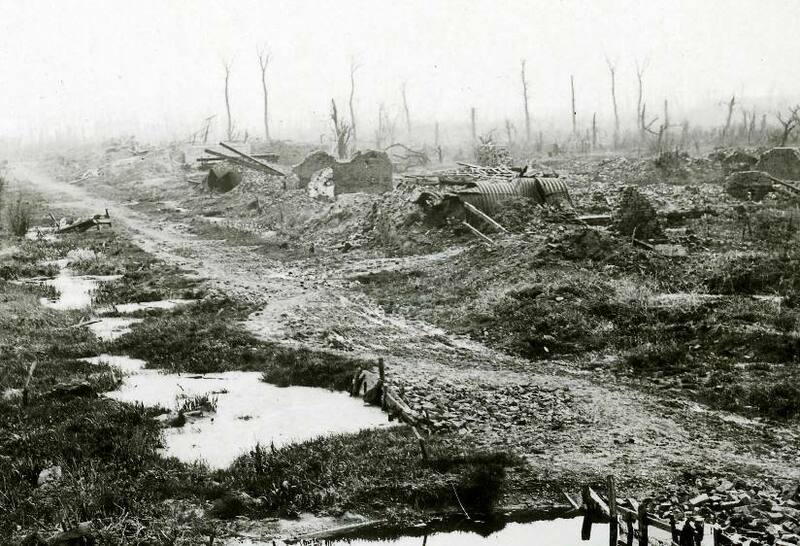 Fifteen divisions of the New Army, an all-volunteer force raised by Lord Horatio Kitchener, have arrived on the Western Front since May, when the symphony of destruction assumed its theme; today is the first time they have been committed to battle, and the result is an opera of death wreathed in concealing smoke and poisonous futility. Heavier than air, the chlorine lingers at the lowest points. Riflemen who stand on the firing parapet to receive the enemy thus suffer less than men who huddle in the bottom of the trench, encouraging resistance. Even when British units reach their objectives, a continuing shortage of grenades makes the resulting trench fights that much harder; each position won inflicts a higher cost in men, while the defense of a hard-won position at close quarters becomes doubly-deadly for the average rifleman. By Kitchener’s design, the New Army consists of local volunteer battalions. Known as the ‘pals regiments,’ they are made up of men who join and train together, often having known one another for much if not all of their lives. Answering their country’s call, towns and cities across Great Britain have turned out such units, and now they march into the gray wastage. Kitchener’s faith in the utility of shrapnel shells, requiring them to make up half the New Army’s munitions mix, is contributing to the sudden annihilation of whole British communities of men. Days of preparatory bombardment have only tangled and snarled the deadly wire, while craters become deadly obstacles to movement. Far behind them, reinforcements struggle to move forward against the tide of casualties being evacuated to the rear. Commanding the First Army, General Douglas Haig becomes annoyed with his superior, Field Marshall Sir John French, for holding up reserves, delaying their arrival until the afternoon. The dispute will escalate within the chain of command, resulting in the reassignment of French in December. But it is not clear that faster deployment of reserves would accomplish anything more today than reinforcement of the operation’s overall failures, for by 9 AM, it is perfectly clear that gains will be limited — and that a horrendous price is being paid for such a paltry progress of arms. Indeed, French makes this very argument to Haig tomorrow morning, but leaves his subordinate free to commit his divisions. Over the next two and a half weeks, the New Army will suffer two casualties for every German killed, representing very little improvement since the battles of Spring. Effective tactical communications are impossible in these conditions. Sometimes, units fall back from their objectives under attack or without any evident reason; there has been no command, since the officers are all dead. German counterattacks find gaps in the new line that should have been covered. The Big Push falters and resumes in a gathering rain that soaks the battlefield in misery. On October 13th, a second gas attack twice as large as the first takes place with better winds, but without much better effect. There simply is no single ‘magic bullet’ that can restore mobility to the deadlocked Western Front; Britain is still having trouble supplying enough regular bullets.